Given by Mrs T Cook. 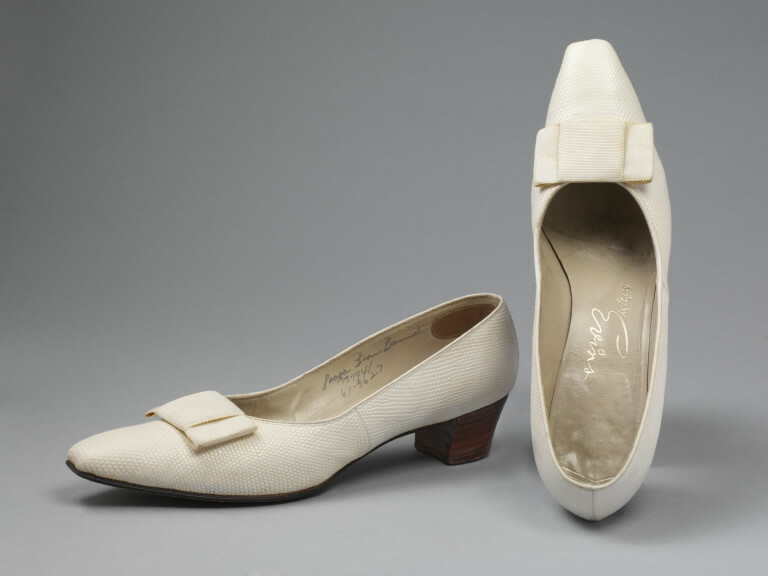 Woman's shoes made of white lizard. 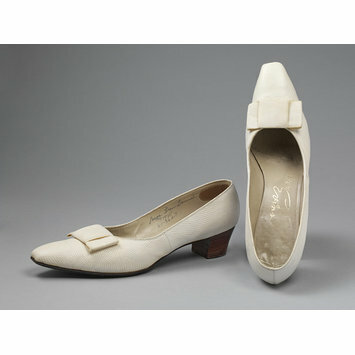 They are 'court' shoes with a fairly high cut, tapering square off toe trimmed with a broad, flat white grosgrain bow. They have medium low, tapering, stacked leather heels and are lined with gray leather. The soles are also leather. Written on the inside of each shoe.